Bubbles for the New Year! We are cozied up for the New Year with our closest friends — a group we have gathered with at New Years for almost two decades. Such joy! As I think back on 2018 and forward to 2019 I am filled with gratitude and joy. Thank you to all of you for your love and support in this new venture — supporting The Nice List, reading all things Mid Modern Mama, and supporting me on social media, too. Thank you! Gratitude is my word for the year for 2019, and I’m beginning the year with a brand new section on Mid Modern Mama — all about gratitude. I hope you will check it out. There’s a guide to writing good thank you notes, suggestions for host and hostess gifts, and a guide to keeping track of gifts received, too. I also have a review of AJ Jacobs’ newest book — Thanks a Thousand — which chronicles his quest to thank everyone who makes his morning cup of coffee possible. It is a great read! 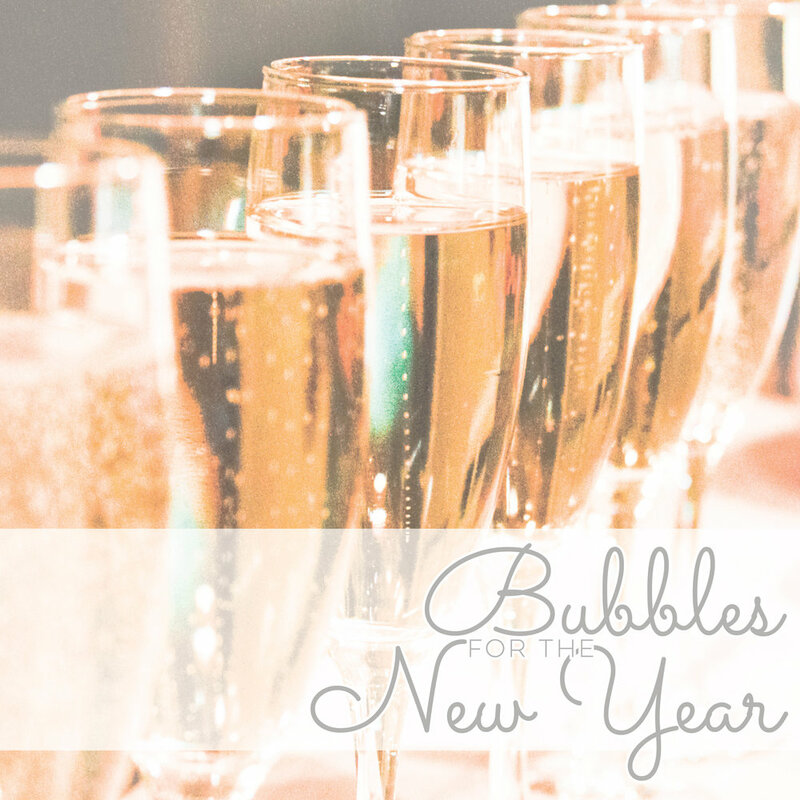 But for tonight — be sure you take Aaron Sherman’s list of Bubbles for New Years to your local wine shop! He has some wonderful suggestions for your New Years toasting pleasure. Above all, I wish you joy and love and peace as we bid 2018 farewell and welcome the New Year. I’ll raise a glass to you, my dear readers, tonight. Thank you for your support! Here’s to an amazing 2019! Sommelier and guest columnist, Aaron Sherman, recommends champagne, sparkling wine, and prosecco for every occasion and budget for New Years Eve — and any other time, too!